A Broker-Associate with the Englewood office, Joni McLendon's previous career experience includes working as a sales agent with several well-known independent real estate companies in Atlanta. Joni earned a Master's degree in Counseling. 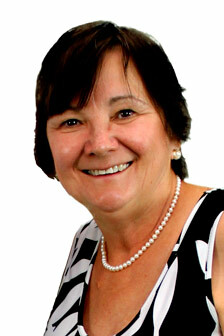 She enjoys working with people, and has taught seminars on marriage and self-esteem. She is a member of the Englewood Board of Realtors, and is very active in the community. ...less. We had the pleasure of having Randy and Joni McLendon as our realtors to sell our home in Englewood. We cannot tell you how pleased we were with their service. They were so professional in everything they did. They made sure that our transaction went as smooth as possible. With their help we also got the price we were asking for our home. We could not have had a better team to help us. We would recommend them to anyone who is looking to buy or sell a house. - Donald & Joan B.
Randy and Joni are wonderful realtors as well as excellent people. They have been extremely helpful. Their professionalism is top notch. They always do their work with honor in our experience. We have both bought and sold a house with their services. Would definitely recommend them. Randy and Joni McLendon were superb. It can be difficult buying a home while simultaneously selling a home in different regions of the country, but they guided us through the entire process flawlessly and effortlessly. In fact, the closing was the smoothest I ever experienced. Very thoughtful, knowledgeable, and professional. We would highly recommend Randy and Joni to anyone wanting to buy or sell a home.